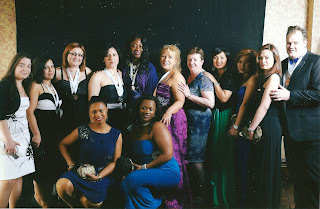 If you are self-motivated, ambitious and like working with people – then Oriflame Manager could be for you. It’s a fantastic chance to have a business opportunity based from home. It is completely flexible and you can choose your own hours. In a nutshell – you recruit and support your own team of Oriflame Consultants – but with all the support, training & advice from Orinet our Consultants and Oriflame HQ. You will be “in business for yourself but never by yourself.” You do not need any prior experience to be an Oriflame Manager or Consultant . How much can I earn as an Oriflame Manager? The more you put into your business the more you will get. As an Oriflame Manager you can earn between 5%-9% of your team’s paid sales, this will be paid into your bank account at the end of each catalogue. you will earn commission on their teams on unlimited generations. Oriflame also have a business bonus which is on top of your commission earnings. Here at Orinet we will work with you to achieve your goals and dreams. We will put a detailed action plan together with you taking into account your existing commitments and lifestyle. We have people in the team that work their business part-time and others that are full-time. We pride ourselves on being friendly, supportive as well as ambitious. How much will it cost me to become an Oriflame ? There is NO registration fee and free to start . You will also be provided with a business pack to get you started. You will get full training and support, including web marketing and internet support from Mike, as your success is our success. Why Join the Orinet ? As the Leader in the Orinet team, we provide a website to help with your recruiting. As far as we are aware, this is unique within Oriflame and similar websites in the marketplace can cost you at least £100 to setup and then a monthly fee of £15 or more. Here at Orinet, we want our Oriflame Manager to be able to concentrate on what they are best at – Selling, Showing and Sharing. By providing the website, it’s one less thing for you to have to worry about – not to mention the cost saving. Also, orinet is an award winning team – all of which has been achieved around busy family lives. Our team is one big extended Oriflame family, and we’d love YOU as the next family member!